This volume provides an up-to-date review of the molecular mechanisms of toxicity. 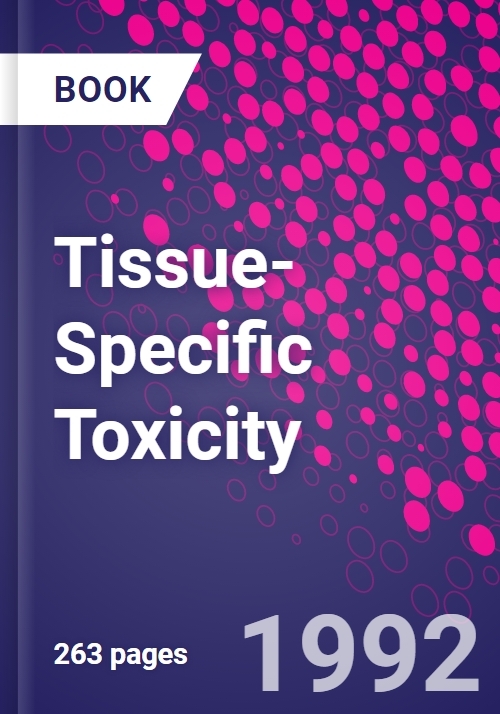 Individual chapters deal with specific aspects of toxicity problems associated with selected organs. D.J. McConkey, T.Y. Aw, and S. Orrenius, Role of the Ca2+-Mediated Endonuclease Activation in Chemical Toxicity. W.N. Aldridge, Selective Neurotoxicity: Problems in Establishing the Relevance of in Vitro data to the in Vivo Situation. J.E. Casida and R.F. Toia, Organophosphorous Pesticides: Their Target Diversities and Bioactivation. U. Andrae and H. Greim, Initiation and Promotion in Thyroid Carcinogenesis. W. Bursch, L. Fesus, and R. Schulte-Hermann, Apoptosis ('Programmed' Cell Death) and its Relevance in Liver Injury and Carcinogenesis. P. Steinberg and F. Oesch, Liver Cell Specific Toxicity of Xenobiotics. H.-G. Neumann, S. Ambs, and W. Hillesheim, The Biochemical Basis of Hepatotoxicity. W. DeKant, S. Vamvakas, and M.W. Anders, The Kidney as a Target Organ for Xenobiotics Bioactivated by Glutathione Conjugation. G.S. Yost, Bioactivation and Selectivity of Pneumotoxic Chemicals. M.E. Scheulen and H. Kappus, Anthracycines as Model Compounds for Cardiac Toxicity. Index.